As if I don’t already talk about how much I love Gareth Emery enough, I felt the need to write a short rave about him proclaiming my undying love and groupie-ism. 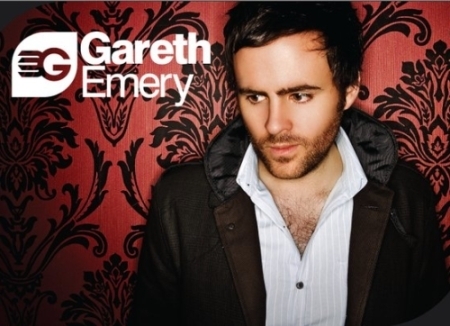 As a producer, Gareth makes some absolutely breath-taking trance and progressive house. As a dj, he defies the notion of sticking with one genre and instead plays multiple genres in each of his sets. I tune into his weekly podcasts and I’ve also gotten the privilege to see him live twice. You can’t say Gareth Emery is trance, house, or dubstep, because he throws everything into his sets and has defined himself as someone who can successfully play everything at once. Many of the trance producers out there that only choose to play house during their live sets piss me off immensely. However, because Gareth has avoided being categorized as a certain genre, I love him and everything he throws down. Sometimes he plays more electro house than trance, sometimes he throws in dubstep, he is completely unpredictable which is what makes his sets so exciting. He uses mashups that contain both progressive and electro beats to really spice up his sets and the order of the songs he uses makes his live performances almost feel like a roller coaster ride. I feel like with so many artists “selling out” and strictly sticking to electro style beats in order to keep a musically naive crowd satisfied, it is hard to find a dj that can still give an original and worthwhile performance. Because of Gareth’s unpredictability factor, I foresee him having a great future where I will never turn my back on him due to a crossover into mainstream music. He will forever be that dj that plays the most perfect and dubious combination of trance and electro house.